We’d love your help. 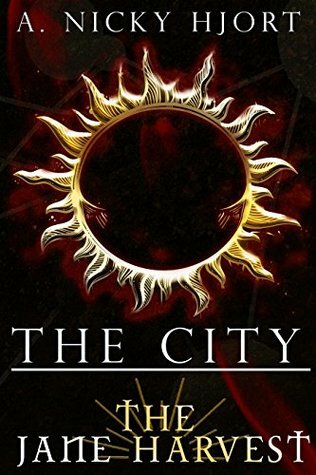 Let us know what’s wrong with this preview of The City by A. Nicky Hjort. On another planet two hundred years in the future, twenty-one-year-old Isla Jane struggles helplessly to figure out who she is and what her world really means. Marked with a forbidden tattoo of the rising sun, she is a natural champion of humanity and a gifted warr Winning battles means Ink honors, prestige, and life itself. …Yet nobody understands what losing truly means. To ask other readers questions about The City, please sign up. Well, this was really good! I loved the world that was created here, and I found the special aspects and nuances of this dystopian land intriguing. The main character's inner monologue and self talk was one of my favorite things, though. It was really a cool way to humanize her in a world where that's not much of a thing lol. The Orb felt a bit Hunger Games-ish to me, but it had its own thing going on, a different way of playing the game, and I thoroughly enjoyed the tension that built up. I think fans of Dystopian worlds will enjoy this.